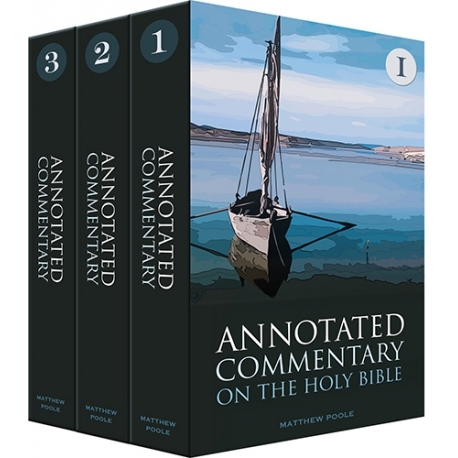 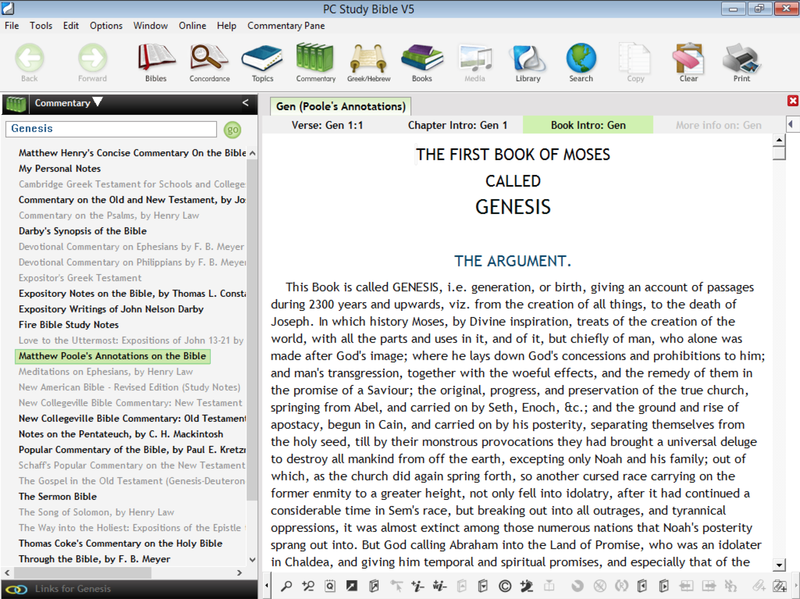 The Annotated Commentary on the Holy Bible was written by the renowned English Nonconformist theologian Matthew Poole. 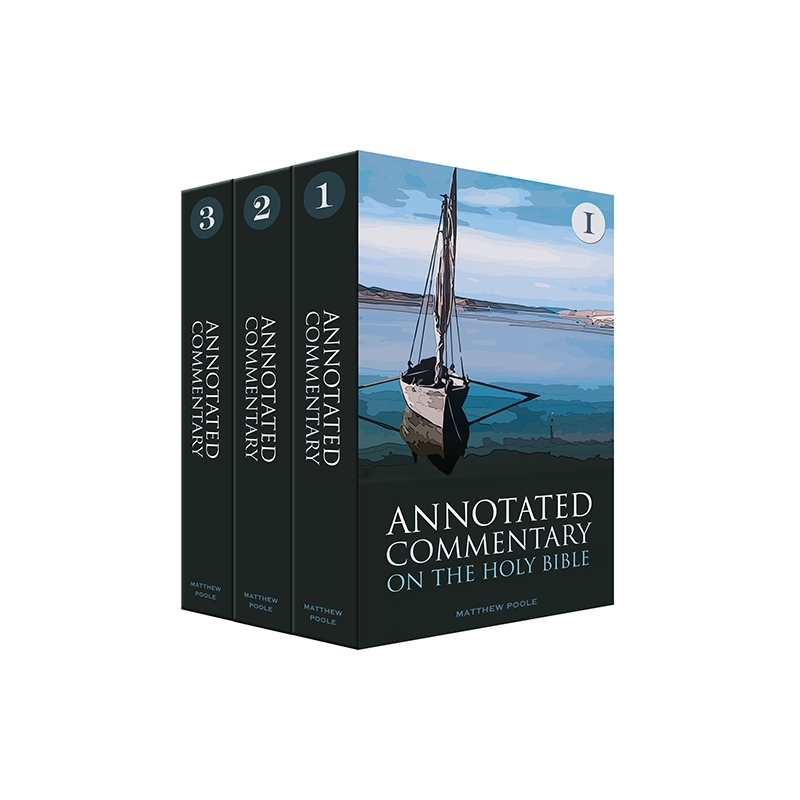 This is a useful and practical commentary on the entire Bible that includes a summary and introduction for each book and chapter along with verse-by-verse insight. 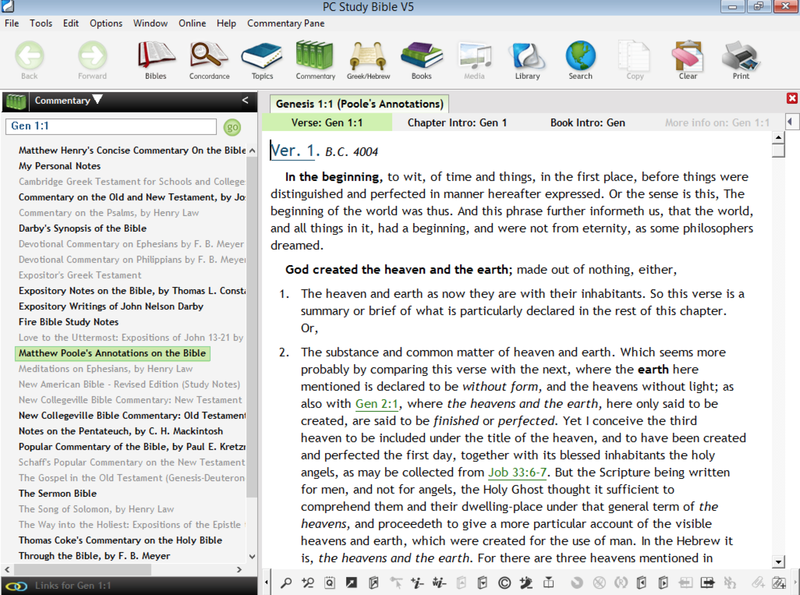 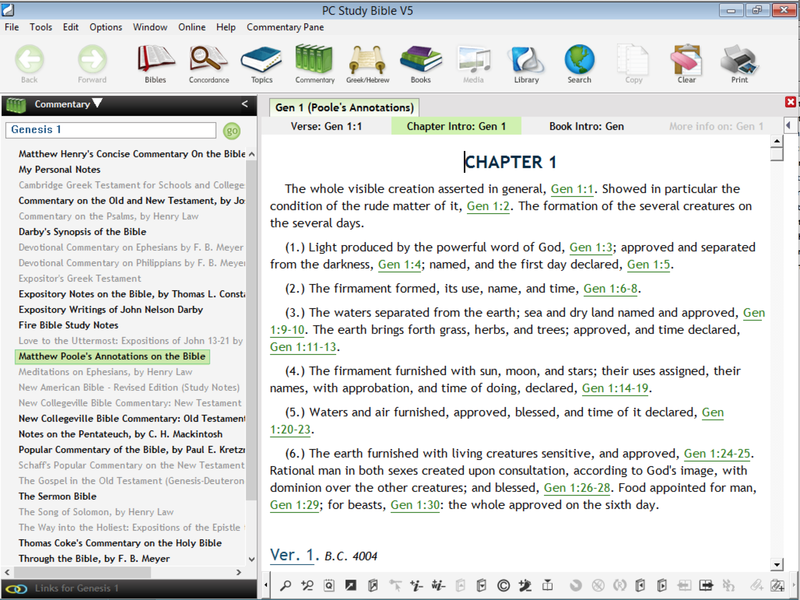 "If I must have only one commentary, and had read Matthew Henry as I have, I do not know but what I should choose Poole. 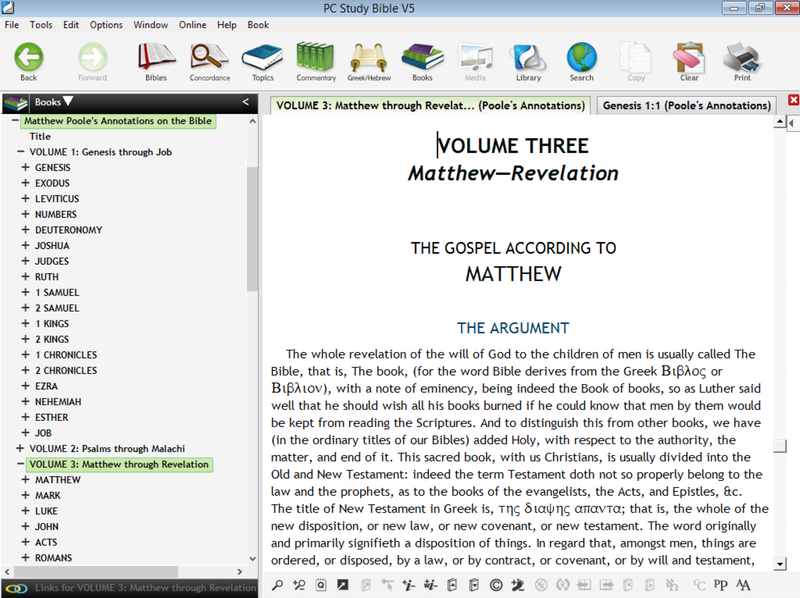 He is a very prudent and judicious commentator... not so pithy and witty by far as Matthew Henry, but he is perhaps more accurate, less a commentator, and more an expositor."